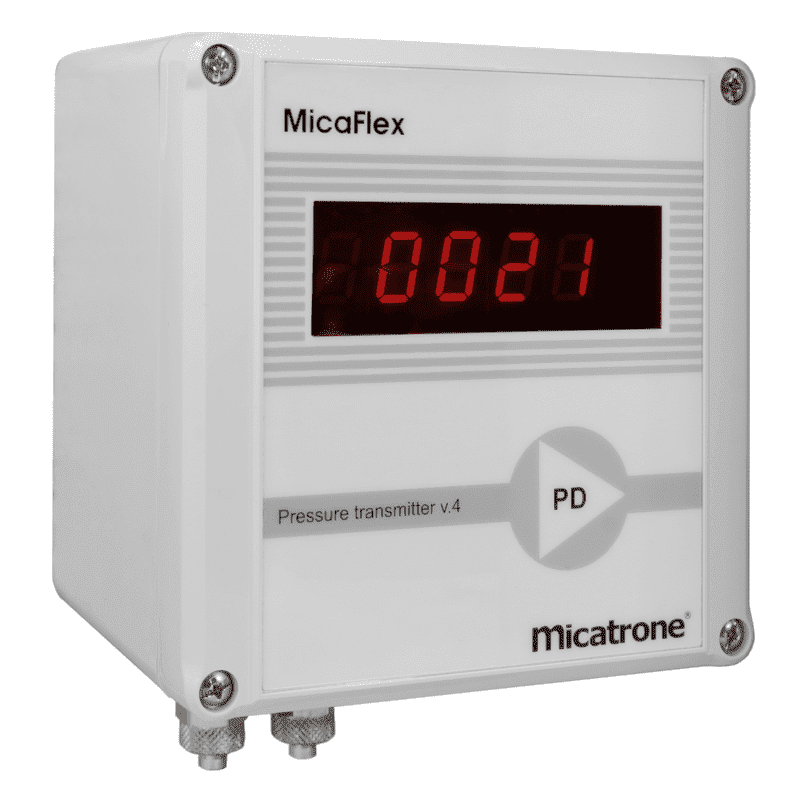 Micaflex MF-P / MF-PD is a pressure transmitter designed for low positive, negative and differential pressure in air-handling and ventilation systems where low pressure measuring is needed. They have an adjustable damping and a choice between a 0-10 V or 4-20 mA output. All transmitters can be delivered with or without a LCD display.